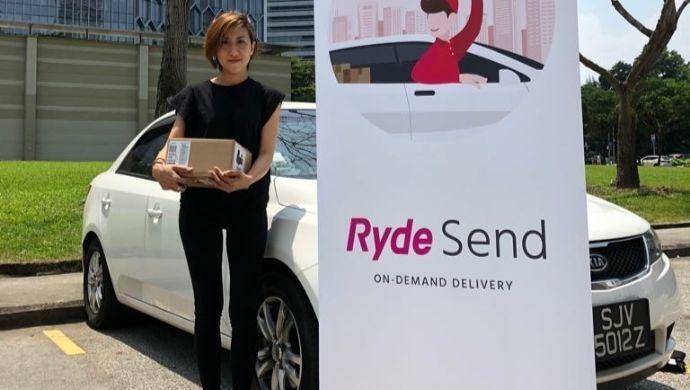 Ryde, the most well-known competitor to Grab in Singapore, announced today it plans to enter the last-mile logistics industry with a service called RydeSEND. It is set to be launched on September 3, 2018. The company claims to have 60,000 potential drivers on the platform and plans to leverage motorbikes in the coming months. It also wants to add 20,000 motorcycles by the end of the year. The service advertises a 60-minute delivery for small packages, flowers, parcels and packaged food across the city. RydeSEND will be a cashless service that uses the internal payment system called RydePay. The product is fairly straight-forward; users will book the “to” and “from” for delivery and, once the booking is accepted, simply hand the package to a courier who will deliver it to the destination. The app includes a feature to track the package on its journey. “We are excited to innovate and expand our services beyond transport to courier services and more. The Ryde platform now offers consumers the most comprehensive range of services available in a ride-hailing app,” said Terence Zou, Founder and CEO of Ryde Technologies in a statement. The price of the deliveries are calculated based on distance, time of day and tolls along the journey. It will also include a S$6 (US$4.35) door-to-door delivery fee. The company will take 10 per cent of every booking as its source of revenue. Zou felt confident that the Ryde service will be quicker and cheaper than the alternative delivery options in the city. The announcement also pointed to delivery as an alternative source of income for drivers during non-peak hours for the ride-hailing service. While the service does not directly compete with Grab, it will find competition in Ninja Van, another Singapore startup darling. Ninja Van is not P2P and focusses on business delivery, but it is a dominant player in Singapore’s last-mile logistics industry. The post Grab competitor Ryde gets into courier game appeared first on e27.